Fri., 3 May - Sat., 1 Jun. 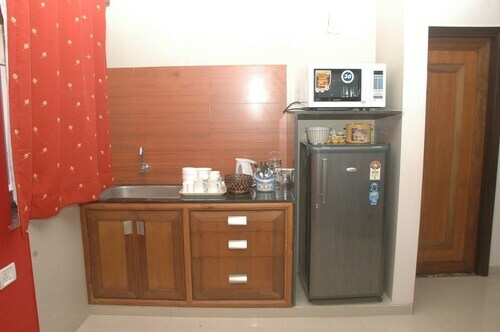 Situated near the airport, this hotel is within 1 mi (2 km) of Indian Naval Aviation Museum and Bogmallo Beach. Heart Shape Lake and Hollant Beach are also within 2 mi (3 km). 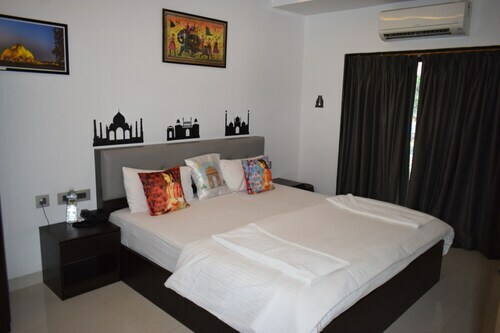 This family-friendly Marmagao guesthouse is located near the airport, within 3 mi (5 km) of Bogmallo Beach and Heart Shape Lake. Arossim Beach and Colva Beach are also within 16 mi (25 km). 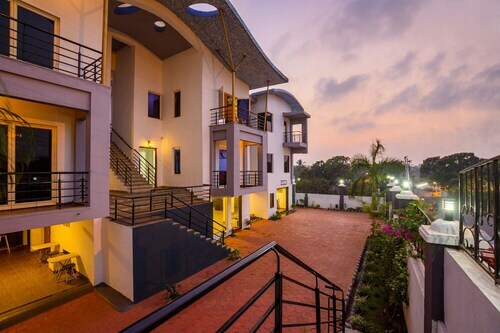 Situated near the airport, this spa resort is within 1 mi (2 km) of Bogmallo Beach, Indian Naval Aviation Museum, and Heart Shape Lake. Hollant Beach is 3 mi (4.8 km) away. This family-friendly Marmagao resort is located near the airport, within 2 mi (3 km) of Hollant Beach and Indian Naval Aviation Museum. Bogmallo Beach and Heart Shape Lake are also within 3 mi (5 km). 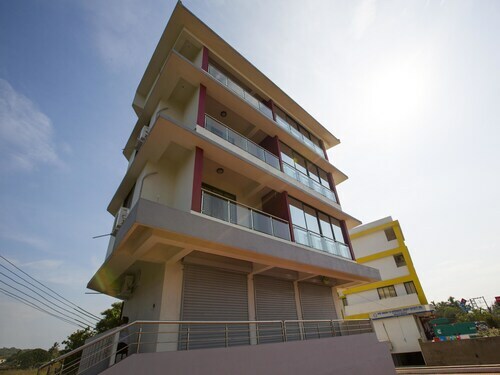 Situated near the beach, this guesthouse is within 1 mi (2 km) of Bogmallo Beach and Indian Naval Aviation Museum. Heart Shape Lake and Hollant Beach are also within 3 mi (5 km). Nestled on the beach, this Marmagao hotel is within 1 mi (2 km) of Bogmallo Beach, Heart Shape Lake, and Indian Naval Aviation Museum. Hollant Beach is 2.9 mi (4.6 km) away. Situated near the beach, this hotel is within 2 mi (3 km) of Indian Naval Aviation Museum, Hollant Beach, and Bogmallo Beach. Heart Shape Lake is 1.6 mi (2.6 km) away. Vasco da Gama Dabolim Station is 27 minutes by foot. 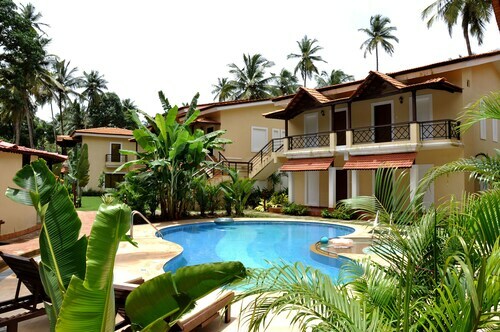 Situated in Mormugao, this hotel is within 3 mi (5 km) of Indian Naval Aviation Museum, Hollant Beach, and Heart Shape Lake. Bogmallo Beach is 2.9 mi (4.7 km) away. Vasco da Gama Dabolim Station is 8 minutes by foot. Question : How much is a plane ticket to Goa (GOI) from Mumbai (BOM)? Answer : Cost can range anywhere from $89 to $1,514, prices for BOM to GOI do change much more than the majority of routes in India. However, usually the sooner you book, the more you'll be able to save. Answer : You sure can adjust your departure or arrival date and you may save yourself some money by doing it. The cheapest day to fly in April is Saturday. Flexibility is key when booking travel plans in order to keep costs down. 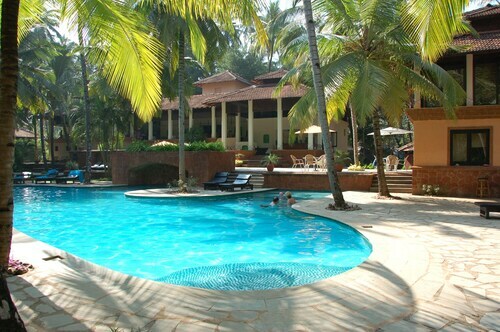 Question : What is the cheapest date to fly to Goa? Answer : Tickets are currently being sold for $95, 77% below the average price for this route. As of Apr 15th, the cheapest day to fly from Mumbai to Goa is Apr 19th. Question : What is the cheapest airline flying from Mumbai to Goa? Answer : Air India is the leader in keeping prices low for their passengers over the next three months. Fares are being booked at just $89, which is a great deal when compared to the more expensive bookings of $1,514. Answer : The day with the most departure times for this route is Sunday with 44 options. However, with only 42 flight times, Wednesday doesn't offer quite as many options when finding that perfect departure time. Question : How long does it take to fly from Mumbai to Goa? Answer : Definitely the faster option to get to Goa when compared to walking. Flying from BOM to GOI typically takes about one hour and 13 minutes. Question : How long is the flight from BOM to GOI? Answer : GoAir currently holds the shortest travel time with one hour. So, you would arrive in Goa at 6:25 AM IST if you left Mumbai at 5:25 AM IST.